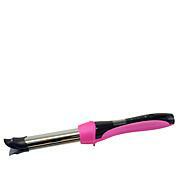 A ceramic heat hair curler that draws hair into a curl chamber to help you create perfect curls and waves every time. 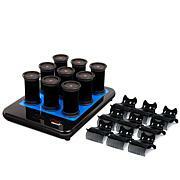 Choose the desired temperature and curling timer as a guide (15S/17S/19S). 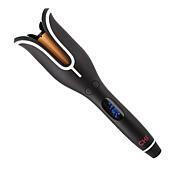 Hold the CHI Spin n Curl vertically with the digital display side facing the head. 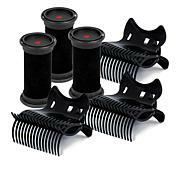 Take a 1/2" to 1" section of hair and insert in into the opening of the curling chamber in 90 degree angle. If larger sections are used, hair may be tangled. Insert sectioned hair into the curling chamber. 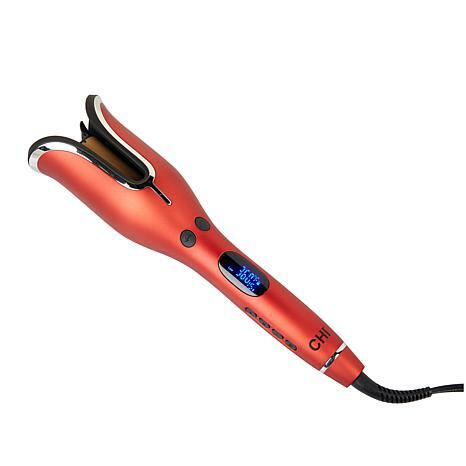 Press and continuously hold the arrow button in the desired direction to curl the hair. The hair strand will be automatically curled into the chamber and the rotating will stop. The Spin n Curl will beep (4) times once the curl is set. Remove the tool gently from the hair. I love the Chi Spin n Curl. This is the best hair curler I have ever purchased. The red color was very nice and it really heats up in seconds.